bad they tasted. I mean, they could taste that bad could they? 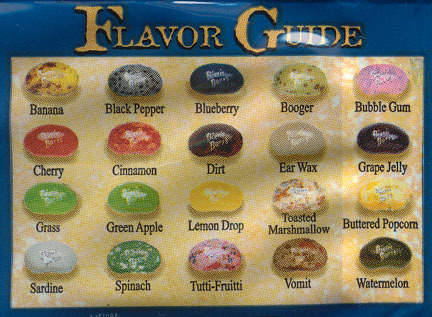 Here are the flavors in a package. 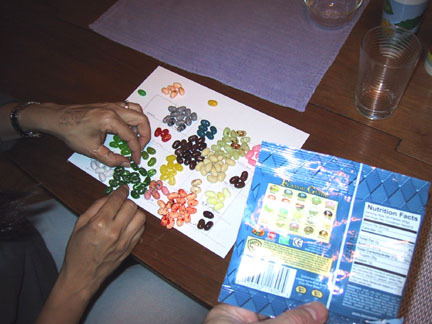 Jelly Belly candies. Alas, they are not. We opened the two bags and sorted them both out. Here Michele attempts to convince me to try the vomit flavor. I did try it, and it tastes just like vomit. It was horrid. I spit it out into a cup on the table. I'm not kidding, it really does taste like puke. 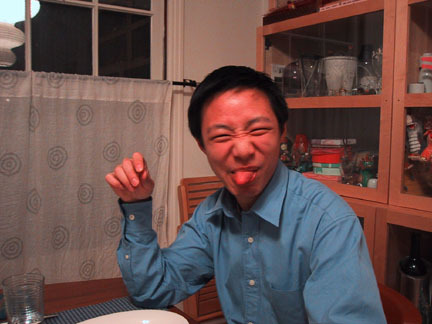 Here is James after trying the booger flavor. 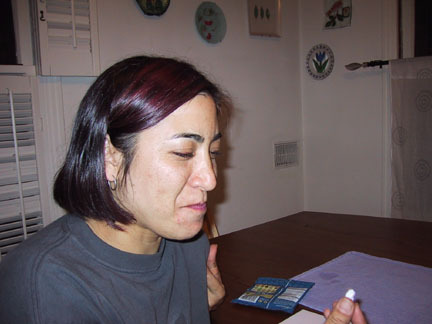 Mira took this picture after I tried eating the black pepper flavor. Terrible, it's like eating a teaspoon of black pepper. Next I tried dirt flavor and I'm sure there's real dirt and sand in it. 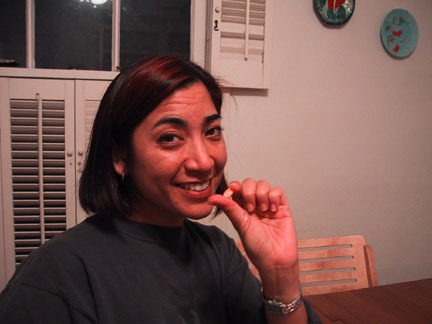 Here's Michele before trying the sardine flavor. Here Zoe tries the grass flavor. What can I say? 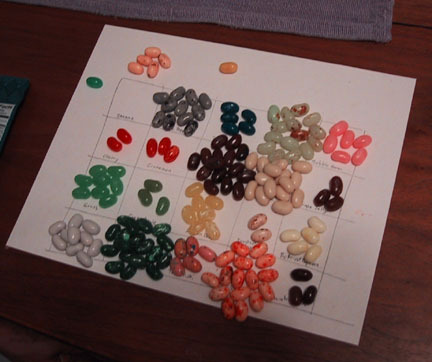 The Bott's Bean taste exactly how they are labeled. 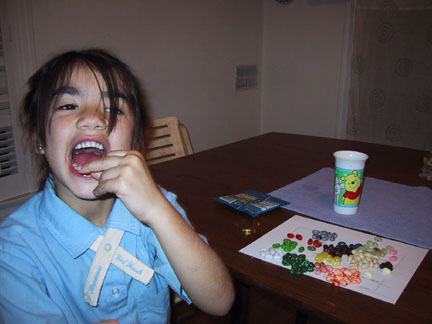 All of the terrible flavors are replicated within the small candies. I'm telling you not to try these, they are disgusting. I fear you won't believe me and try them yourself. In that case, in advance I'd like to say, "I told you so!"